When Christian Dior launched his couture house in 1947’s post-war Paris, he broke away from the rationing that also applied to fabrics at the time: his wasp-waisted dresses flared out with abundance. Dior’s New Look – a term coined by Carmel Snow – revolutionised women’s fashion by injecting it with a healthy dose of optimism and sensuality. 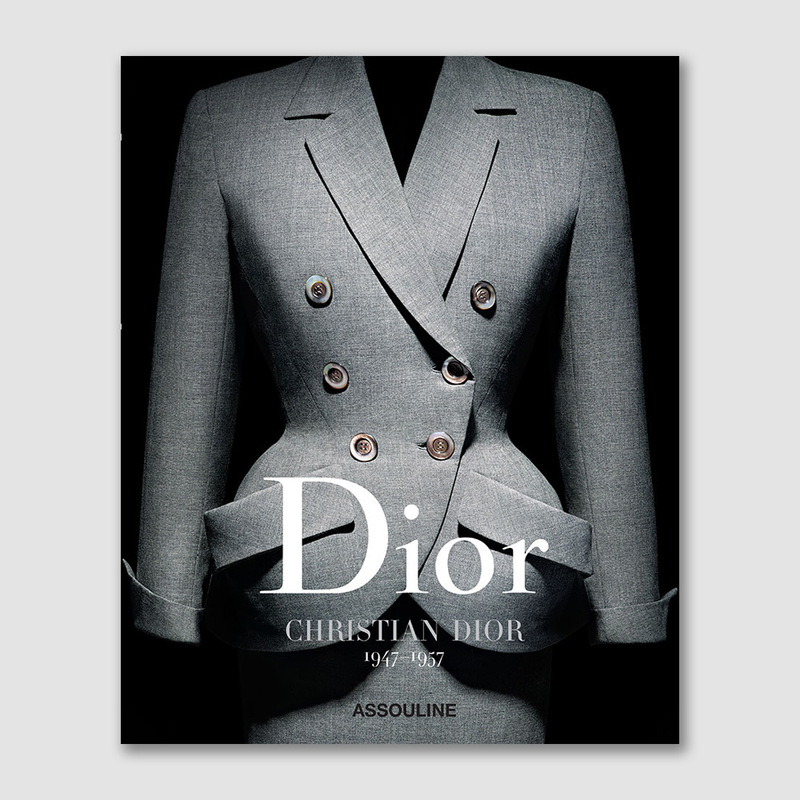 This is where Dior by Christian Dior commences, the first volume of a seven-part series published by Assouline, in which the French fashion house celebrates 70 years of its revolutionary legacy. Each volume is dedicated to a creative director, from M Dior to Yves Saint Laurent, John Galliano to Raf Simons – without forgetting the designer currently at the helm: Maria Grazia Chiuri. Elegantly laid-out with single images on each page, the book series is curated by Olivier Saillard, the director of Paris’ Palais Galliera museum, one of the most knowledgeable and respected fashion historians working today. The book’s historical black-and-white images interact dynamically with the theatrical chiaroscuro set-ups of Christian Dior ensembles on mannequins, shot by Laziz Hamani. It also visually synthesises the codes that combine to create Dior’s recognisable DNA. Inside, Hamani’s crystal-clear close-ups of haute couture fabrics include the tulle petals of a floral-inspired evening gown embroidered with blue sequins, and fabric representations of the house’s signature symbols, such as a lily of the valley detail on a 1955 afternoon silhouette. The volume is interspersed with quotations from M Dior, and completed with precise information on materials, previous owners and the current institutions where the pieces are being conserved. It offers a stately idea of the foundations laid by M Christian Dior from his revolutionary New Look silhouette, until his final A/W 1957 Fuseau collection, which have given a creative foothold to the six other designers following in his footsteps.